Just because you’re a parent doesn’t mean you can’t have a life…and stay fit and healthy! 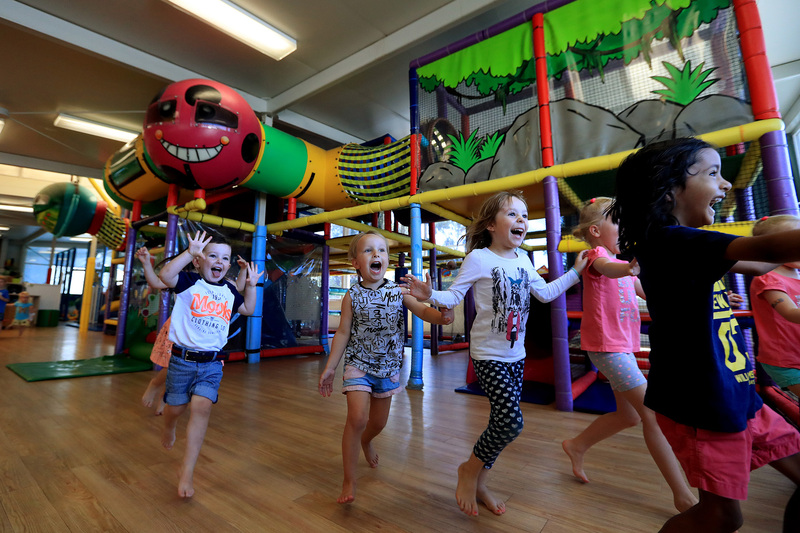 The newly refurbished BLK Performance Centre’s Froggies Childrens Indoor Playground has a range of child-minding services to ensure parents and guardians can hit the gym, massage, pool or a group exercise class with the knowledge their children are in experienced and very safe hands. Tadpoles and Froggies provide child-minding services for children from six weeks of age up to 12 years old. Our school holiday activities and Junior Fit program also provide educational and hands-on experience to equip young people with the skills and knowledge they need to lead healthy and active lives. Froggies also hosts birthday parties on-site, so contact us if you want to put on a party to remember for your little ones! But Froggies isn’t just for the kids – it’s a friendly community great way to for parents to meet other likeminded parents! Contact us if you want time away from the kiddies just to relax. The kids will be begging you to come to the gym!! Ask us about hosting your child’s birthday party! Your children will have loads of fun and adventures at Froggies Playground in the two storey play structure, flying fox, gadget corner and jumping castle. Leave them with our qualified staff, or keep an eye on them while you enjoy coffee or a meal at the adjoining Cardio Café. Most mornings and afternoons – see operating hours here. "Sports Super Centre is the perfect fit for us. Unparalleled facilities for the kids free us up to chase down our best in the gym and the range of motivating classes on offer. Pilates and RPM are unmissable." "Froggies crèche is freedom for mums. Peace of mind that our special little people are well cared for and loved while we get some much needed time out, which helps our minds and bodies to increase happiness." "My 3 and 4 year old have been members at froggies for the last 12 months. During this time I have found the staff to be really professional and child focused. I’m always extremely satisfied at how they focus on the little things my children do with so many children around. Froggies is not only the safest, most re-assured place that I like to leave my boys and at the same time they have so much FUN!! The play equipment is top notch. I cannot recommend Froggies and Tadpoles enough." 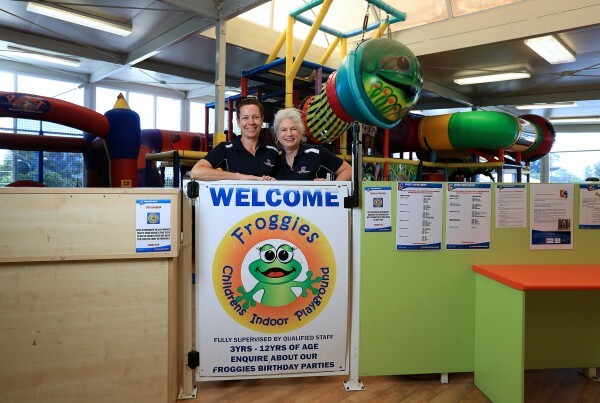 "My kids love going to Froggies, The girls run an incredible crèche. When we walk through the doors the girls are always happy and energetic towards my kids. Froggies has far exceeded what I expected from a crèche. I have been telling all mums I know because I was unaware froggies existed when I was searching for a gym. I can’t recommend a better crèche, I’m so grateful to have a safe, loving space for my kids while I have much needed mummy time. Great job girls, you should be proud!" Looking for a venue for your child’s next birthday party? Tailor your own party at Froggies for maximum fun and minimum cost to you! Your children have exclusive use of our unique and private venue, which includes a two-storey playground, flying fox, gadget corner and jumping castle. Exclusive use of our venue is $295 for 2 hours, which includes 25 children ($6.50 for each extra child). You are able to come in and set up for your party 30 minutes prior to party time. "It was a fantastic party!! I received may compliments from other parents on the location choice. I really liked that I was paying for the venue only and could bring my own food. The place was clean and safe. Another bonus is that you can invite up to 25 children and you don’t need to provide the exact number before the party. My daughter and her friends had a blast!!" "Just wanted to say thank you so much for the great party we had for Ashton at Froggies on Sunday. All of our guests were very impressed by the venue and it was so easy for us as parents too! I’m sure we’ll be back for another party in the future." "This was our 5th party at Froggies. Guests are always thrilled that we have exclusive use of the Centre and the children love the facilities and we all love the air-conditioning. Thank you for a great party once again ‘team Froggies’." "Thank you for making the whole process so simple. 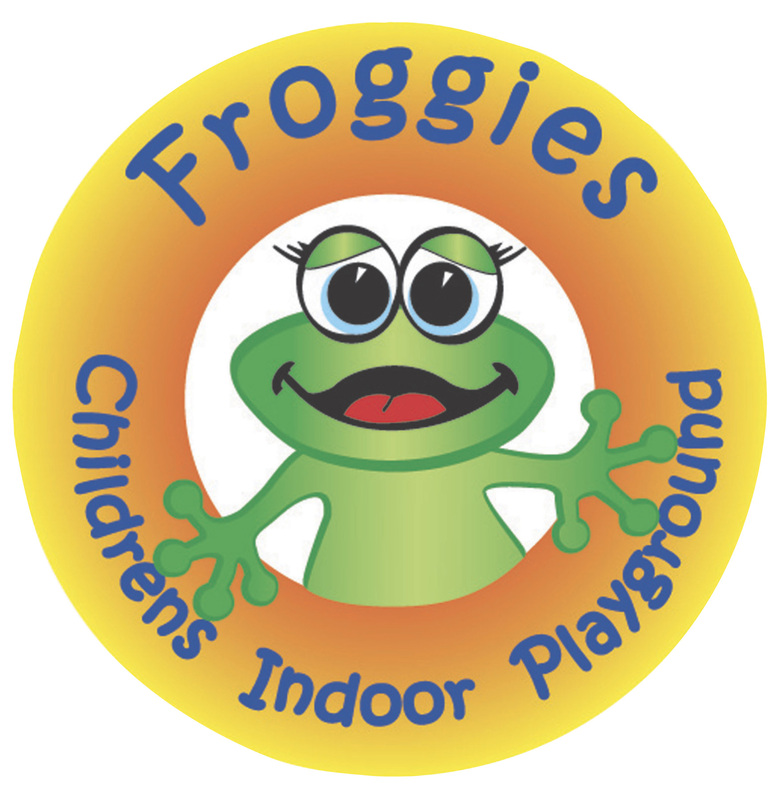 I felt the entire time of our dealings with Froggies staff that we were looked after and I believe that is something so important because immediately I felt at ease knowing I had chosen the perfect location"
We offer a range of activities for kids, all focussed around health and activity. Kids even have their very own fitness/fun after school fitness program called Junior Fitness. Run on Tuesdays and Thursdays from 4:15pm – 5:15pm. This is a part of our Junior Athlete Membership or $6.50 a session for non-members. Parents must remain within the Sports Centre grounds. First class is free so bring a friend!!! Beat holiday boredom with our action packed school holiday activities utilising the Sports Super Centre’s world class facilities run by Team Kids. A super mix of sport and fun! More info on times and registration, call 07 3164 7555 or go to their website ! More info and registration here, or call (07) 5500 9988. Taekwondo is the fastest growing dynamic Olympic sport and martial art in the world. Develop fitness, confidence, co-ordination, concentration, self-esteem, self-discipline, and physique and self-defence ability. Classes are Wednesday 5:30-6:30pm for under 14 years. For further information contact Stephen Brown on 0403 052 973.